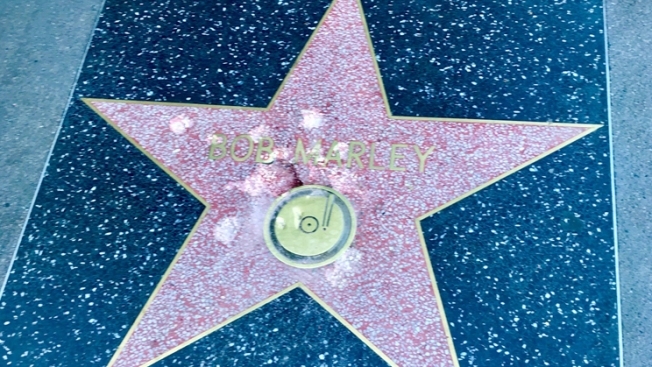 Bob Marley's star on the Hollywood Walk of Fame was vandalized. Someone vandalized Bob Marley's star on the Hollywood Walk of Fame, and it will cost about $3,000 to repair it. The vandalism was discovered on Monday, said Ana Martinez of the Hollywood Chamber of Commerce. "It had been pounded on with what appears to be a sledgehammer or something heavy like that, totally destroying it," Martinez said. She said the star will be repaired Wednesday. "This is considered vandalism to a State Historic Landmark,'' she said. "It will be repaired by the Hollywood Historic Trust and will cost nearly $3,000 to repair it." Martinez tweeted a photo of the damaged star, along with the message: "Why would anyone do this to Bob Marley's star? Help me understand. 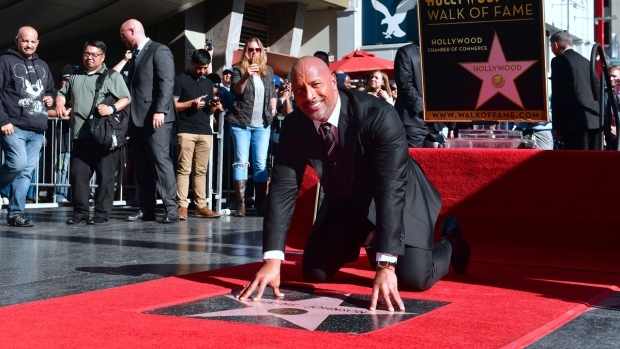 The Walk of Fame is a State registered Historic landmark! Disrespectful." The reggae artist died in 1981. He was posthumously awarded the star, located at 7080 Hollywood Blvd., in 2001. Another star was notably destroyed by a sledgehammer last October: President Donald Trump's. An heir to the Otis Elevator Company fortune surrendered to police, saying he attacked the star as "an act of civil disobedience."